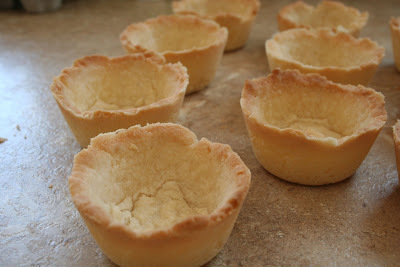 Naked Cupcakes: Maple Mousse in Shortbread Cups - My first Daring Bakers Challenge! 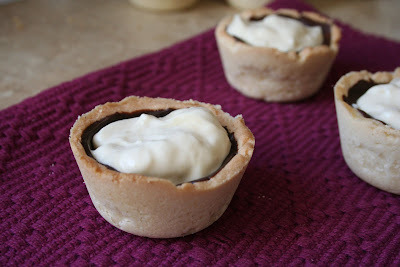 Maple Mousse in Shortbread Cups - My first Daring Bakers Challenge! 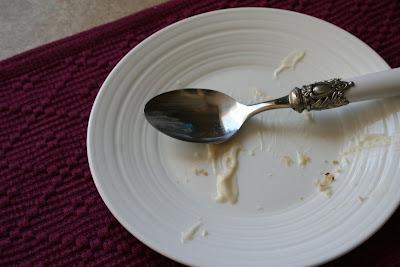 I was so excited to see the my first Daring Baker's challenge at the beginning of April! I love maple syrup (who doesn't?) and the added aspect of coming up with your own unique edible container was just the type of challenge I was looking for to get my creative juices flowing. 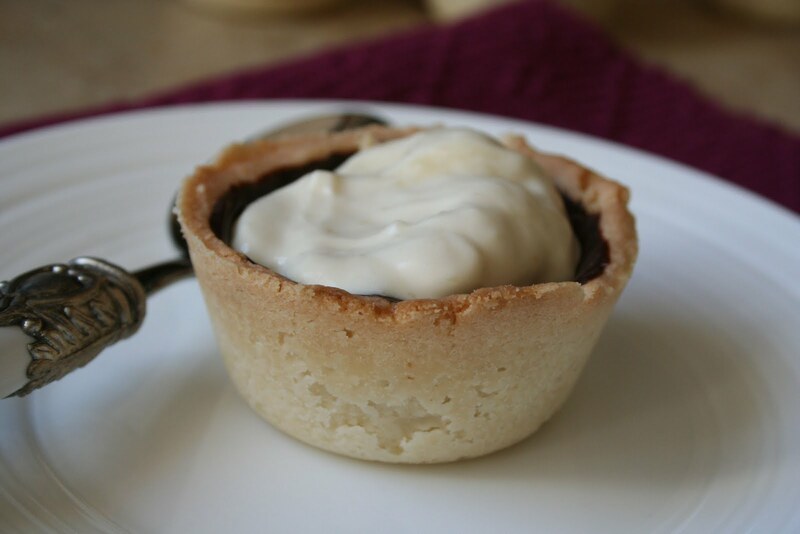 I had read on the site that some people found the mousse to be quite sweet, so I decided to make a shortbread cookie cup because shortbread cookies are a wonderful buttery cookie. The semi-sweet chocolate was added to make the dessert a bit more interesting and to add some colour. I wasn't sure if the shortbread cookies would bake very well in a muffin tin, but it worked out awesome! I think this would be an amazing way to serve ice cream, pudding, etc., in neat individual portions. When making cups with shortbread cookie dough, make sure to spray the muffin tin well with baking spray, and prick the dough with a fork before baking. Halfway through the baking time, press down the sides and bottom of each shortbread cookie cup with a spoons to keep them sturdy from getting too pouffy. 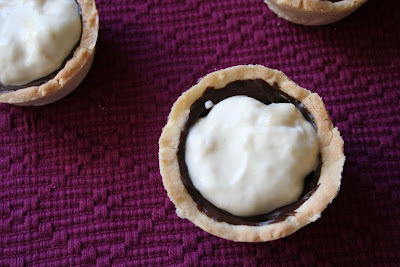 I used my classic Shortbread Cookie Recipe to make these shortbread cookie cups. After the cookie cups had cooled, I melted some semisweet chocolate chips and coated the inside of each shortbread cookie cup with the chocolate. 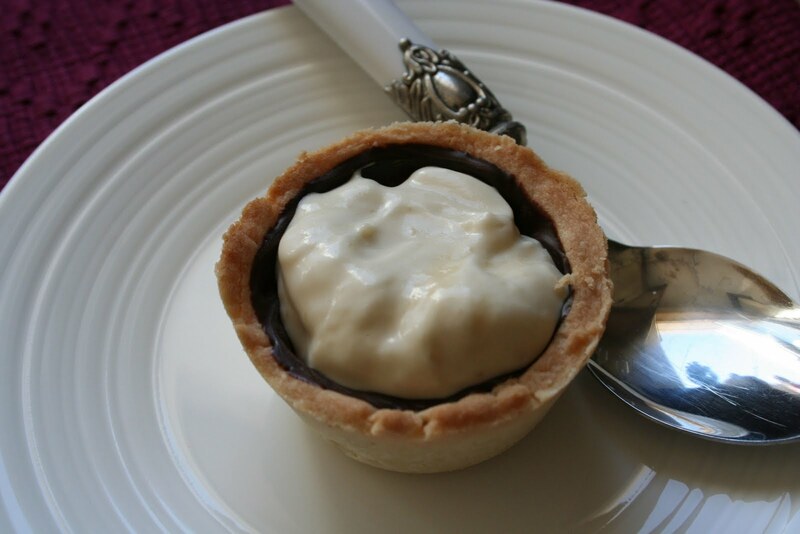 The mousse itself was lots of fun to make as I had never worked with gelatine before. I was so surprised with how well it worked out! The recipe was provided by the Daring Bakers. I didn't find the mousse to be overly sweet, but that may be due to the type of maple syrup I used, I actually found it to be quite delicious and well-balanced! This recipe made quite a lot of maple mousse, so I have included the directions for half of a regular batch as I had a ton left over after filling the 12 shortbread cups. I am so glad that I gave this challenge a shot, it was so much fun and I definitely pushed my own boundaries! 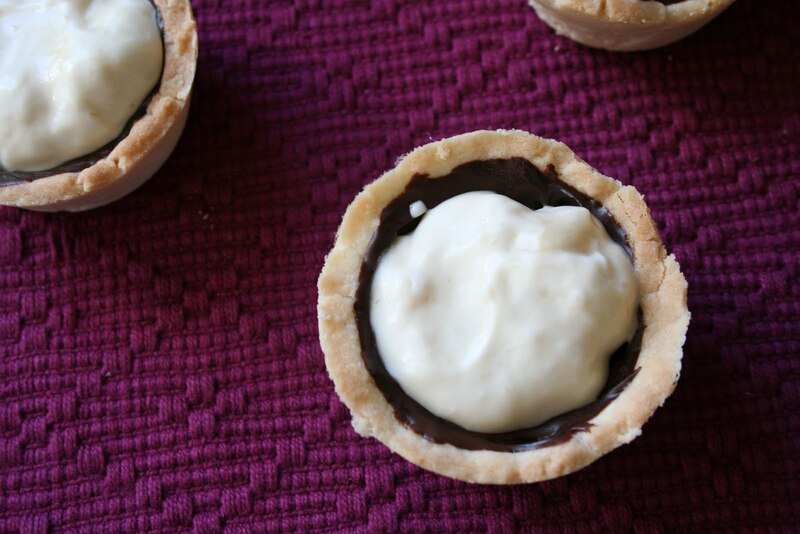 Shortbread cups - what a great idea! 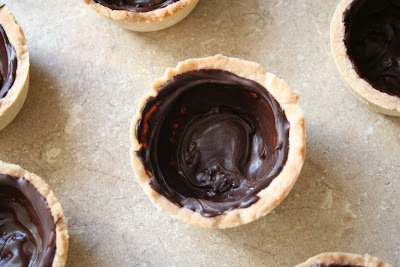 And so perfect to coat them in melted chocolate, too - they look fantastic and I am sure they tasted even better. Great job! WHAT IS THIS? Muffin pan treats? Am I too late for this challenge... fill me in girl!! thank you so much Suzler, Shelly C. and Nachiketa! I had so much fun with this challenge :) I can't wait to check out what everyone else has come up with! Amy, it is part of the Daring Baker's monthly challenge :) I have sent you an e-mail with the info, it's a pretty neat group!